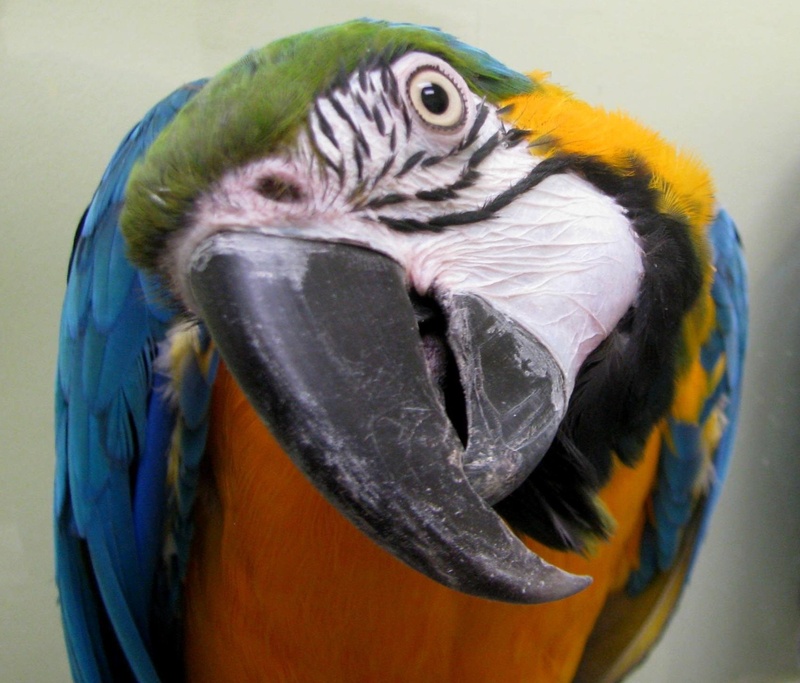 Derived from the Greek word ‘psittakos’, meaning parrot, psittacosis is a disease of hooked bill, or psittacine birds. Also called ornithosis, chlamydiosis (different from human venereal disease), or parrot fever, psittacosis is caused by an organism called Chlamydophila psittaci, a highly infectious, obligate intracellular bacteria. This organism can induce disease in most species of birds and is a zoonotic disease; a disease that humans can contract from animals. Chlamydophila psittaci is transmitted through direct contact with nasal or ocular secretions or the feces of the bird. The organism is quite hardy outside the body and can remain infective for many months in dried droppings, often transmitted unknowingly by people or objects. The clinical signs of psittacosis are variable. A bird can appear ruffled, depressed, have trouble breathing, show nasal or ocular discharge, stop eating, lose weight, show a mild conjunctivitis, or stop vocalizing. Diarrhea, with droppings coloured a characteristic lime green, is highly suggestive of psittacosis. Some birds may appear totally healthy, but act as carriers of the disease, shedding the organism from their body during times of stress putting those around them at risk. Humans, particularly if immune-compromised, can get psittacosis from a shedding bird. In people, the symptoms may vary from general malaise, to a persistent cough, fever, or headache. Diarrhea may occur. If any of these clinical signs occur and persist, the family doctor should be alerted to the presence of a bird in the household so the appropriate testing and treatment can be initiated. Care should be taken when cleaning or treating suspect birds. A facemask should be worn and the cage paper wetted down with a spray bottle of water to prevent potential inhalation of the organism in the dry droppings. In birds, a presumptive diagnosis of psittacosis is made based on radiography (x-rays), blood work, and clinical signs. A combination of antibody tests, organism isolation tests, and assay tests can all be employed to confirm a diagnosis. Treatment in birds involves specific antibiotic therapy, given orally, by injection, or in medicated pellets, for a period of 45 days. A recovered bird is susceptible to reinfection so thorough cleaning and disinfection of the environment is crucial. Any bird being treated for Chlamydophila should be isolated and maintained in an easy to clean area. Prevention is the best defense against psittacosis. New birds should be quarantined and have a veterinary health exam prior to introduction to other birds. Strict hygiene should be practiced and contact with wild birds should be prevented. A post mortem (or autopsy) should be performed on any bird that dies with suspected psittacosis.